Large, glossy black wheatear with black underparts down to legs, and, in many adults, white crown; immature and some adults have black crown, resembling smaller Eastern Pied (opistholeuca race) but size, longer bill and white sides of tail with black corners diagnostic (no black terminal-band). Some black-crowned birds show a few white feather-tips, these birds gradually developing a white crown. 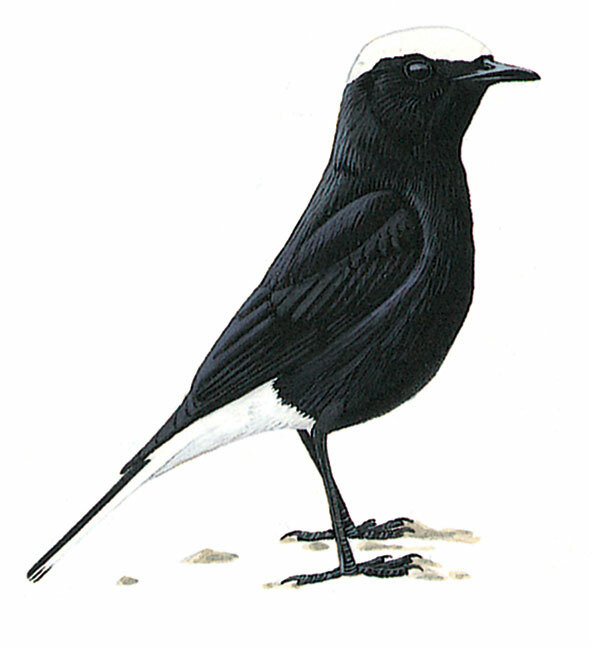 In male Hooded, which has similar tail pattern, black below extends only to centre of breast.